The Cashlogy POS 1500 series is at the top of the Cashlogy family. This solution, developed entirely by Azkoyen, will give you peace of mind. It’s quick, reliable and easy to use and maintain. It is perfect for restaurants, pubs, cafes, bakeries, butcheries,groceries, pharmacies, smal shops, etc. Cash has always been people’s favourite payment method, and it still is today. However, cash management is insecure. Cashlogy is the new point-of -sale cash payment technology that automates all cash management processes and simplifies handling. 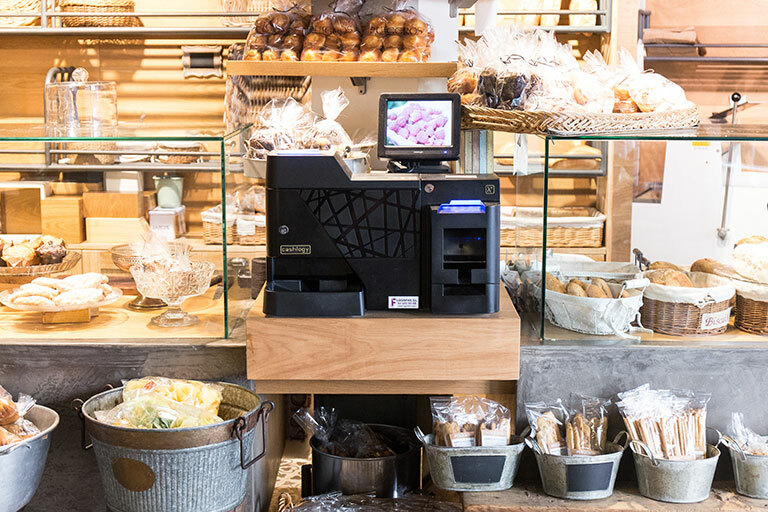 Thanks to its horizontal design, the Cashlogy POS 1500 series reduces the visual impact on your shop counter, creating a more pleasant atmosphere for customers. - Folding note recycling module. - Removable coin recycling module. 2 access levels: cash collection and maintenance. Additional key for the note stacker. - POS 1500 for Windows. - POS 1500X for all operating systems (Linux, Android, iOS, Windows, etc). Euro. Information for other denominations on request. Bulk acceptance of up to 50 coins of mixed denomination. From 1 cent to 2 euros. Up to 30 coins per second. From 5 to 500 euros. 3 recycling units, each for 47 banknotes. Non-recycling unit for up to 500 banknotes from 5€ to 500€ (collection only). For environments where you want Cashlogy to be used by an employee. Ideal for environments where food is handled. 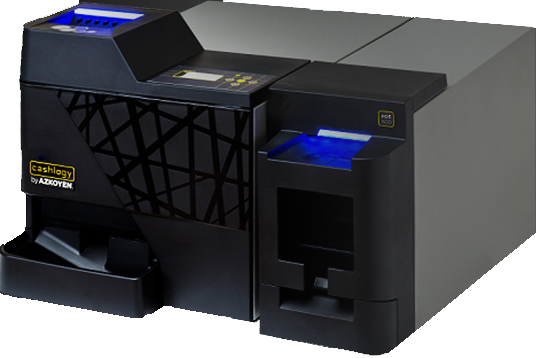 For environments where the end customer inserts coins and the employee inserts banknotes. I bought Cashlogy for the speed and reliability of the system, plus our software provider thought it was the best one for us. The immediate advantage of these payment systems is peace of mind, they act as control mechanisms that let you avoid making mistakes when giving change. 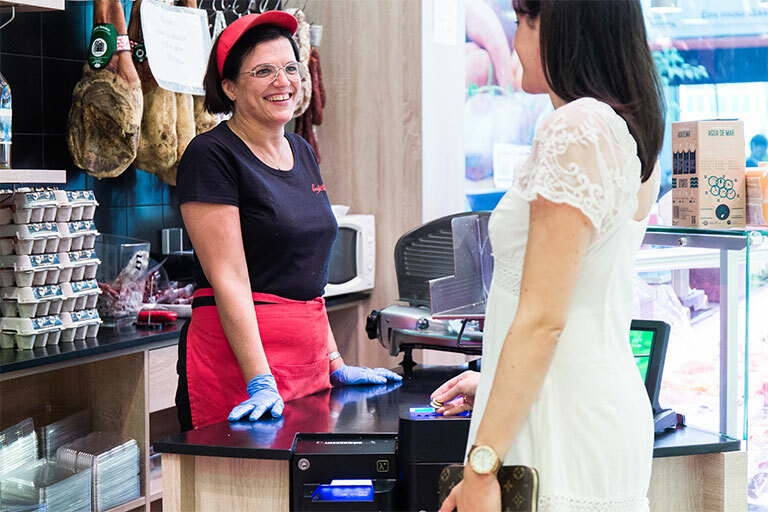 At the end of the day the cashing up is now done by the machine, not the shop staff, which gives the company and the staff peace of mind which is really positive, everyone is happy. Cashlogy has given my business security regarding money and also, very importantly, food safety. 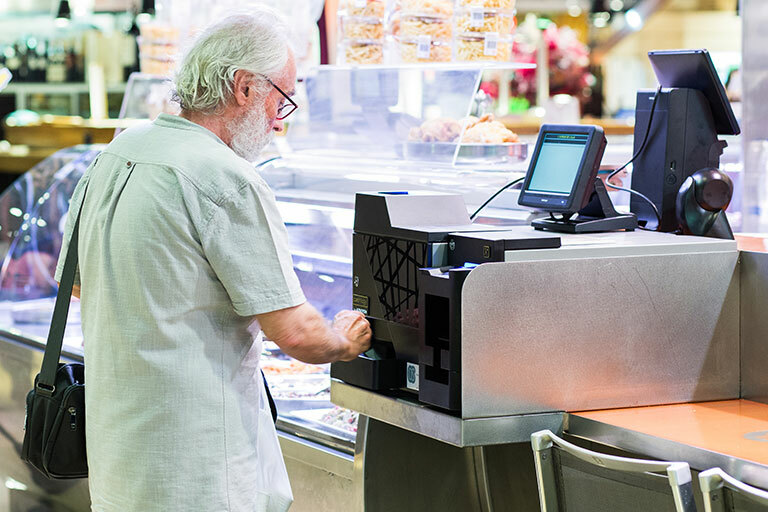 Above all I would like to emphasise its speed, it gives change quickly and another very important thing for us is that it is a compact solution, easily fitting into the place where we are and it lets us use the part above it as a counter, which other machines don't allow. I have know Azkoyen for many years, it is a brand that I feel I can trust. What I liked most about Cashlogy was its speed in the payment process, the system for giving change is very fast as well as the acceptance of coins and notes. 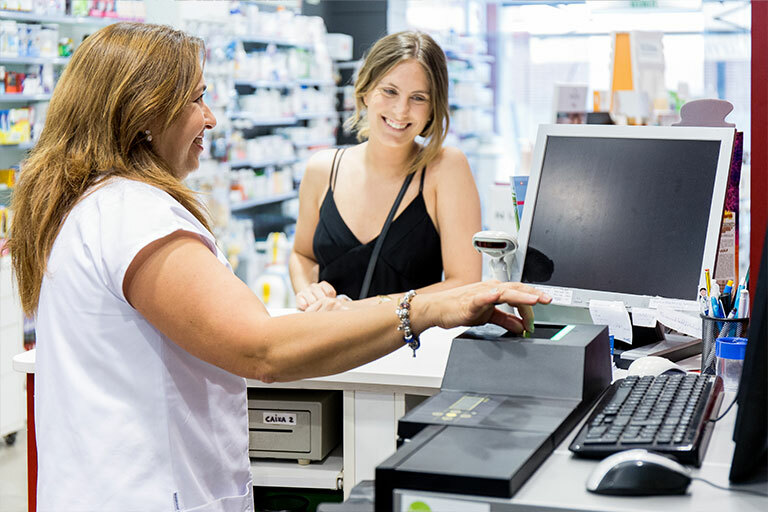 I bought Cashlogy because we are not always there at the chemist and because we have a high staff turnover we need to have control over cash in and out. Cashlogy saves us time when controlling the movement of cash. Peace of mind and security are the most important things in my business. Cashlogy means I don't have to go in to cash up every day because if I can't, it's not a problem, Cashlogy does it for me. Also, the maintenance and operation of the system are very simple, I don't have to count thousands of coins and banknotes now to manage my cash. It's been a very positive experience. In this section you will find the answer to frequently asked questions about our product or ask for more information filling our contact form.